Tidying my desk today I happened to come across a Slow Food Ireland article from 2011 by that great baker (and teacher) Derek O’Brien, on The Revival of Real Bread – a timely reminder that this is not only the mainstream bakery sector’s National Bread Week, but also Real Bread Week (October 4-10), an alternative programme of events organised by the newly-established network of independent Irish craft bakers. Real Bread Week is a programme of demos, talks, tastings and open days that are free and open to the general public and take place from October 4th to 10th at bakeries the length and breadth of the country. Real Bread Ireland came about because of concerns at the increasing industrialisation in the baking industry over the last 50 years and a lack of transparency about all the hidden ingredients that now go into most modern industrially-produced loaves, often leading to a nutritionally inferior product full of unidentified additives as there is no legal requirement to list these additives. In some cases, this could even be leading to or compounding very real health issues. Real Bread Ireland, a newly established network of some of Ireland’s leading independent craft bakers, wish to change all this by promoting a return to traditional baking techniques and values and the production of wholesome, healthy and nutritious bread. 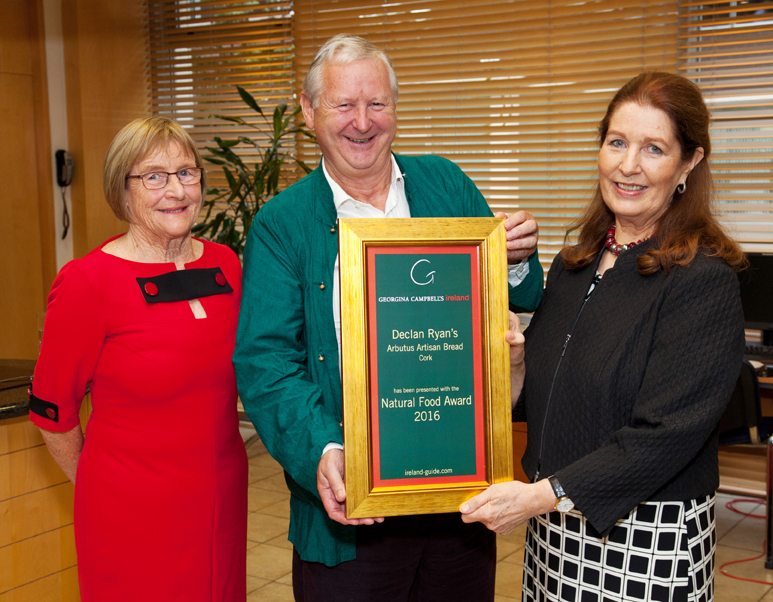 Real Bread Ireland’s aim is to encourage all of us to eat better bread, whether we buy it or bake it ourselves and RBI would like to see the standard and quality of bread raised throughout Ireland. Many of the traditional techniques have been lost over the last four or five decades with the increasing industrialisation of the breadmaking process which, they feel, has lead to a lowering of standards and quality of the bread we consume every day. What’s more, those decades have seen a corresponding rise in health-related issues surrounding wheat and gluten intolerances and many believe this is no coincidence. What is the definition of ‘Real Bread’? RBI believe the gold standard to be what they define as ‘Real Bread’, a loaf of Real Bread containing nothing more than flour, water and salt with the addition of sufficient time for natural proving as nature intended. This results in a wholesome, tasty and nutritious loaf and with absolutely no hidden additives. RBI do not wish to preach or to tell anyone what they can or can’t eat but simply feel each and every one of us is entitled to know exactly what we are eating and be able to an informed choice when it comes to our Daily Bread. What goes into Real Bread ? Real bread, in its purest form, is bread made without the use of processing aids or any other artificial additive. 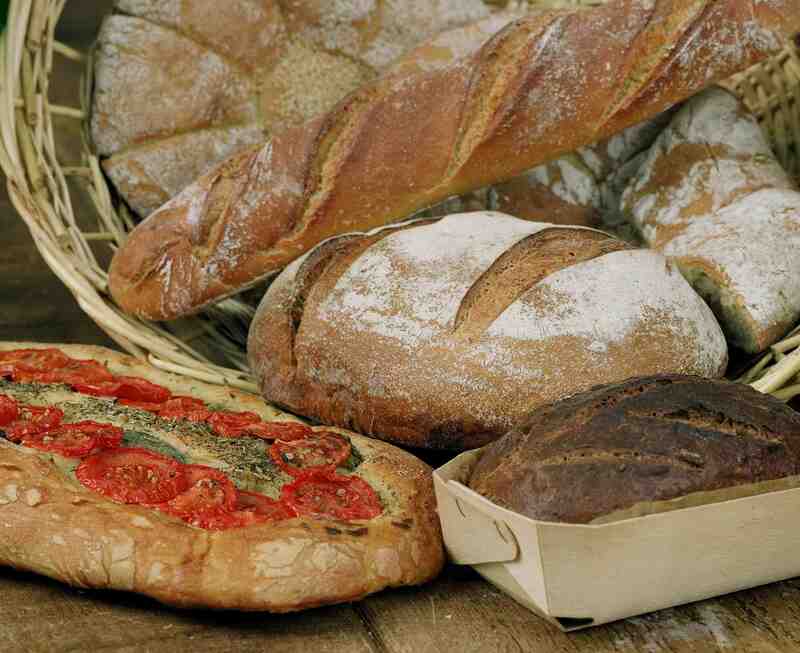 Real Bread is simply flour, water and fermentation (either by adding yeast or using natural fermentation) and salt. Other natural additions include nuts, seeds, herbs, butter, egg or milk. Real Bread Ireland is a group of artisan bakers initially brought together in an entirely voluntary capacity by a shared belief in the Real Bread ethos, with a desire to promote Real Bread, educate the consumer and fellow bakers, and improve the quality of bread being produced and consumed within the Island of Ireland. Real Bread Ireland is not an elite or exclusive club but rather a group of like-minded individuals who have come together voluntarily to align themselves under a single flag, to promote good baking and real bread. For them, the cause will always be greater than any individual or group of individuals and they are very keen to add fellow artisan bakers to their number as soon as possible to contribute to the process of promotion and education. The long-term aim of Real bread Ireland is to develop a membership-based network of bakers who work within the parameters of the real bread ethos along with an affiliated membership for ‘supporters’. Right now professional and public education, raising awareness and a total commitment to a policy of complete transparency are the primary objectives. Becoming involved in community and social baking projects is also another ambition that is very firmly on the agenda, working in partnership with local community organisations. Who can participate or join Real Bread Ireland? Real Bread Ireland welcome with open arms the participation of consumers, domestic bakers and peers in the field of commercial artisan baking and all other likeminded fans of Real Bread. Real Bread Ireland are especially keen to welcome professional artisan bakers willing to share knowledge and educate their peers as well as home bakers. Events organised for the 2015 Real Bread Week include the following open days, but the events are just a taster – Real Bread Ireland is an association of hardworking bakers who make beautiful handmade bread for everyone to enjoy every day. Tartine Bakery will be holding an open day and demo on Tuesday 6th October from 4 to 7pm. Call in and find out how they prepare and bake their organic real breads. Bretzel will be hosting a talk and tasting in the Bretzel bakery & Cafe on Thursday, 8th October from 7pm onwards as part of Real Bread Week. William will share his ideas on the sourdough process and discuss well-made bread with tastings and take home goodies for everyone in the audience! Open Day on Tuesday 6th October. Come and see how a real bread baker needs very little space to supply the local community with real bread. Bakehouse open from 10-12 on Monday 5th October to celebrate Real Bread week. Call in and see what goes into making ‘real bread’.